Hacked | Fulcrum ConsultingWorks Inc.
Rebecca shares three steps to reduce the risk of losing your company to hackers. 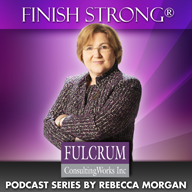 This entry was posted in Podcast Series: Finish Strong® and tagged IT Security by Becky. Bookmark the permalink.